This crisp green salad features all of the ingredients of homemade guacamole in one easy recipe. 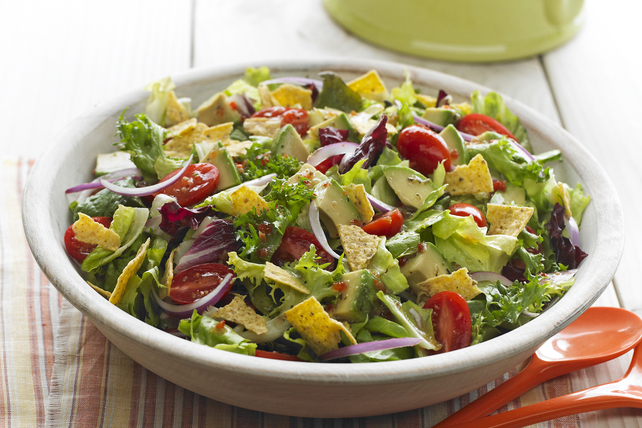 Don't forget the tortilla chips - they provide the crunch in this Guacamole Salad. Mix dressing and lime juice until blended. Add to salad; toss to coat. For more flavour, mix 2 Tbsp. chopped fresh cilantro with the dressing mixture before tossing with the salad.